FastComet Review: Solid Shared Hosting, But Is It Right for You? Looking for versatile, top-rated web hosting, with loads of extras, including a site builder? Read our review of FastComet to see if it’s right for you. The web hosting industry is rife with issues, from downright dishonesty to poor quality, so it’s nice to see a good, honest company that provides high-quality hosting. But that’s where FastComet swoops in, bringing a generous amount of features and reliable services with them. Coming from system administration services, they began in the cloud hosting business in 2013. They may not be as popular or long-lived as some other hosts, but they provide a striking level of quality. Offering plans for everyone, from the tiny one-man business to the bustling e-commerce store, along with a few unprecedented tools and a promise of pricing integrity, FastComet deserves serious attention. Does FastComet Offer Extra Services? Do the Benefits Outweigh the Cons? Does FastComet use cPanel hosting? What FastComet plan is best for WordPress hosting? What are FastComet VPS hosting plan options? FastComet is notable because it has nearly all the types of hosting you’ll need. There are the specialized options for WordPress, Joomla, and a few others, all of which come at the same price as standard shared hosting. But for those just looking for a standard solution for their website of any size, you’ve got the “big three” at your disposal: shared, VPS, and dedicated hosting. At first glance, the web hosting looks like one of the best bargains on the market. Most “free domains” are only free for a year, but a domain registered on FastComet’s web hosting is free forever. This applies to transfers of already-registered domains as well. Shared hosting providers tend to skimp on the extras, so this is pretty sweet! FastComet states that their hosting is faster than HostGator, BlueHost, and GoDaddy. You also get unmetered traffic no matter what plan you choose. This may be nothing new, but it sure is nice to have it all for free. And all of this is on the cheapest plan. More expensive options allow multiple websites, more SSD (solid-state drive) space, and advanced add-ons like more RAM and unlimited addon domains. Whether you just need a single website or are running a thriving small business, these plans are a steal. For those with more-resource intensive websites or see higher levels of traffic (or both), FastComet offers a variety of cloud VPS and dedicated hosting options. Both types of hosting are fully managed, so unless you want to install apps yourself or you are keen on system administration, you can just sit back, relax, and let FastComet handle the back-end of your web hosting for you. Overall, FastComet’s options in this area not as jaw-droppingly stuffed with features as their shared plan, but they are still very good choices at mid-range prices. Both cloud VPS and dedicated hosting packages come with a seven-day money back guarantee. It’s worth noting that some extras, like the free domain for the life of your service and the Cloudflare CDN, are global across all FastComet services. Not bad at all. FastComet’s VPS hosting isn’t quite as much of a steal as their shared hosting, but it’s still a great choice for medium-traffic websites. The price is reasonable (if not cheap), and even the lowest-price plan offers some pretty decent system specs. All FastComet VPS plans come with SSD (solid-state drives), which are much faster than traditional HDD drives (speed is of the importance when it comes to hosting a business-related site). Despite the plans being fully-managed, you do get root access to handle administrative tasks by yourself (though if you are not interested in doing this, you don’t have to). There are four different VPS hosting plans from which you can choose, each varying in the number of CPU cores, allocation of RAM and bandwidth, and disk space you get. FastComet can provision VPS servers in minutes, so you can start working on your site almost immediately after you sign up with the company. These are typical assets of a VPS hosting plan, but some providers do charge for these privileges. For those who want an entire server whose exclusive task is to host their website, there is dedicated hosting. As for FastComet’s dedicated hosting options, they are pretty similar to the VPS hosting (right down to the two options having the exact same feature list). There are four different servers from which you can choose, each varying in the number of CPU cores, allocation of RAM and bandwidth, and disk space you get. With FastComet, you’ll pay a reasonable price and get some pretty nice hardware out of the deal, along with add-ons that other hosts don’t often give for free. Those who have built websites using the WordPress ecosystem would find FastComet’s WordPress Hosting options interesting. If you are not sure that FastComet is the WordPress host for you, the company offers a 45-day money back guarantee so there’s no harm in giving the company a shot. FastComet also offers a few other services. These include domain registration. Unlike some others, it offers second level domains, new extensions, country codes, and so on. And don’t forget that you get this domain free forever. They also offer a site builder, which comes with the purchase of shared hosting. 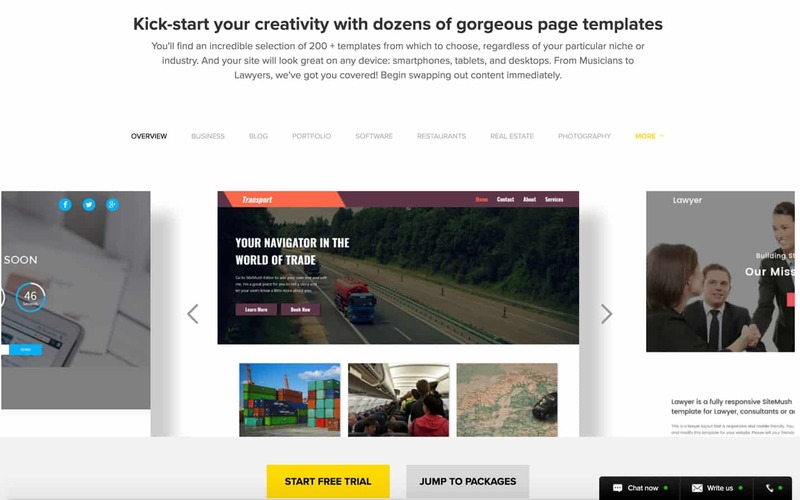 The templates are nice and modern, with large images and plenty of white space. Otherwise, it looks like a standard drag-and-drop builder. Finally, there are the SSL certificates. All plans come with a free one, and you can also buy more costly certificates as well — though it isn’t entirely clear why the $70 personal SSL is any better, considering they all have the same features. Either way, the best certificate also covers sub-domains, though it doesn’t come cheap. It was pretty hard to something to dislike about this host. Though if you’re dead-set on this host, these probably won’t convince you to avoid them. From what few negative reviews could be found — it took some major scrolling through 20+ pages to even find a handful — most indicated some occasional technical incidents. Downtime, DDoS attacks, and spam blacklisting were among the complaints. These issues seemed few and far between, and it was hard to find dissatisfaction at all. In addition, there has to be some patience exercised when it comes to these issues. No host can block every single attack or prevent every spam attack. It’s just something to keep in mind. FastComet does not provide any information about its uptime or the availability of a minimum service level agreement. If having an uptime guarantee (where the host promises and minimum amount of uptime and compensates you if it doesn’t meet that goal) is important to you, you might consider another host. To be clear, this is no super-expensive or unaffordable service, and it certainly wouldn’t be fair to expect FastComet to deliver the lowest prices ever seen with everything they offer for free. But the fact remains that there are cheaper hosts out there. If you’re after the best deal, this host steals the show. But if all you care about is the number, you can certainly find less costly providers. In fact, their price comparisons can be a little misleading. While the feature comparison is completely true, they don’t always compare to the cheapest plan. This makes it seem like FastComet has the most add-ons and the lowest price, while only the former is true. But then again, never trust a biased comparison chart! FastComet promises 24/7 support, but the limitations the company imposes on users seems almost draconian. The support policy looks a bit iffy. Among other things, they reserve the right to impose a service fee or terminate technical support if the ticket requires an “excessive” amount of time, requires in-depth debugging/code analysis (isn’t that a managed host’s job? ), or if you’ve submitted an “excessive” amount of tickets. As is typical of many technology policies, all of this terminology is immoderately vague and up to the discretion of the company. It’s a good idea to read the ToS just so you can be clear about what you’re agreeing to. Another common complaint is that live chat is advertised, but it’s only available for sales. You’re stuck with phone and email/ticket support if you need help. It was way easier to find nice things to say about FastComet than negative nitpicks. The majority of the customers seem to agree that they’re simply great. This company might just be worth sticking with because they’ve proven themselves one of the best out there. I mean, what can I say? The feature list is kinda awesome. A free domain forever is unsubstantiated — it might be worth buying hosting just for that — and everything else is just pretty nice. Usually, you can count on getting cPanel, backups, or a CDN for free, but not all three at once! And their cloud hosting is nice as well. The servers seem reliable and fast, and it’s all managed, so you get a pretty well-rounded package of a good price, great features, and quick hardware. It’s pretty rare to see a host with a solid 9.8 rating at nearly 400 reviews. People tend to only comment to complain, and occasional but inevitable bad experiences can seem blown out of proportion. So it’s pretty amazing to see a host get such a positive rating, on a website like HostAdvice that vets users to prevent fake reviews. It’s pretty clear why this is. FastComet suits everyone, from the startups to the big biz, and everything they provide is simply great. According to customers, they’re always fast and their servers are extremely dependable. On top of that, there’s no hidden fees or costly renewal rates. It’s a great company and a better host. Yes, yes, we’ve already ragged on the tech support ToS. But besides that little tidbit, the support seems pretty nice. In addition to being available 24/7, it’s actually one of the most-hailed positives in the reviews. It seems that, though the agents could easily punt a lot of questions, they remain extremely helpful. The general consensus: They’re polite, friendly, and fast. And, well, what more do you need? You can browse FastComet’s website templates to see the different designs offered. FastComet also responds to negative reviewers, explaining what went wrong, apologizing for mistakes, and offering solutions. It’s quite nice to see a business so dedicated to helping their customers that they keep an eye out off site for people having issues. Honest, quick, and quality. This is FastComet in a nutshell. Besides a few instances of misleadingness, minor at best, they stand out for their flat renewal rate policy — no matter what, you get the price you signed up for. And their polite responses to negative reviews make them seem pretty transparent, which is always a plus. The fast SSD servers, though not a huge marketable feature anymore, go well with their cloud hosting and CDN to provide the speediest load times of them all. And I’m sure enough has been said about the hosting and free addons to convince you that this is a quality host. FastComet strikes a perfect balance between price and provisions, offering a great set of features at a decent cost, and for that reason, they get a glowing recommendation. Here are a few common questions about FastComet, with answers. Yes, Fast Comet offers cPanel hosting. cPanel hosting is the industry standard, used by most web hosts. It’s easy to navigate and allows you to manage your hosting account from one portal. 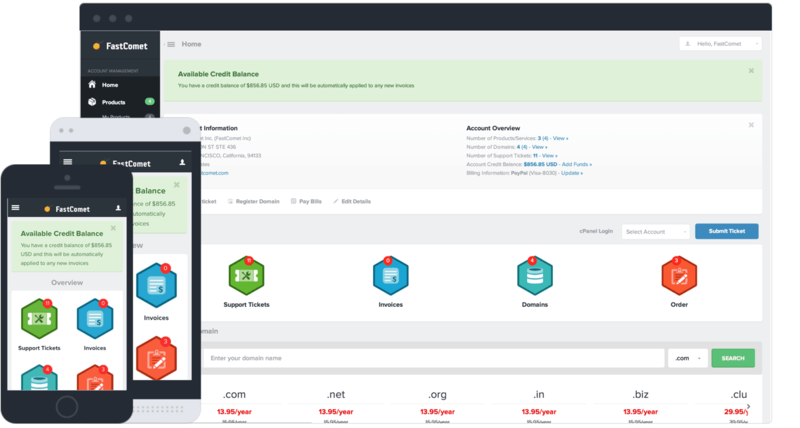 Even if you’ve never used cPanel hosting before, the interface is intuitive and user-friendly. 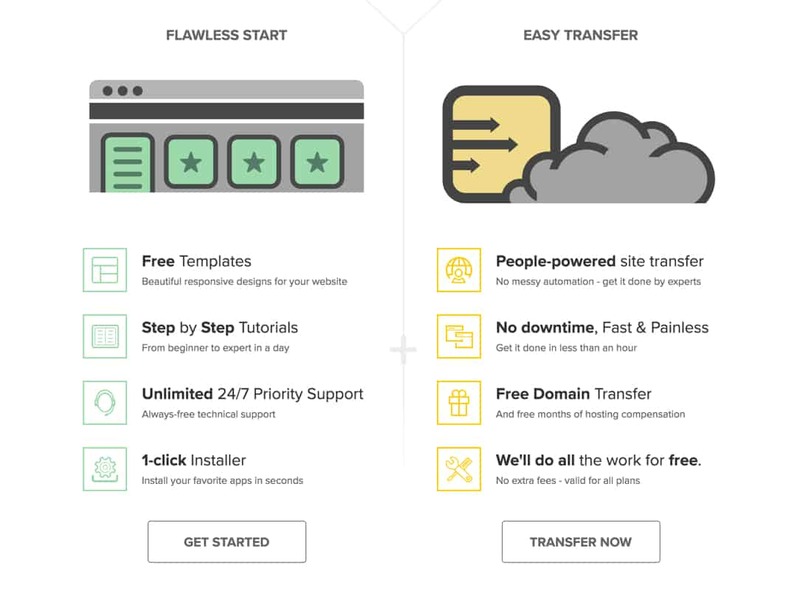 Fast Comet offers tailored WordPress hosting options. The WordPress hosting package comes with a solid set of features, including one-click installation. Fast Comet’s taken care to speed up your WordPress site with the CloudFlare CDN. The WordPress hosting plan also comes with advanced security features and access to expert support. Fast Comet has a range of VPS hosting plans. The more expensive plans come with more CPU, RAM, Bandwidth and SSD Space. All VPS plans use cPanel hosting and come with support for unlimited websites. You’ll also get access to other shared hosting plan features like free site transfer and domain name – depending on where you’re at with your business site. Do you feel like your brain is about to explode from all the information you’ve been taking in? Maybe it’s time to visit our sister site, WhoIsHostingThis.com. In addition to more information including answers to frequently asked questions, it contains a bunch of reviews from actual FastComet customers just like you. It’s an easy way to learn what it’s really like to host with them. You are here: Home > Web Hosting: Which Hosting Company Is Best For You & Your Website? 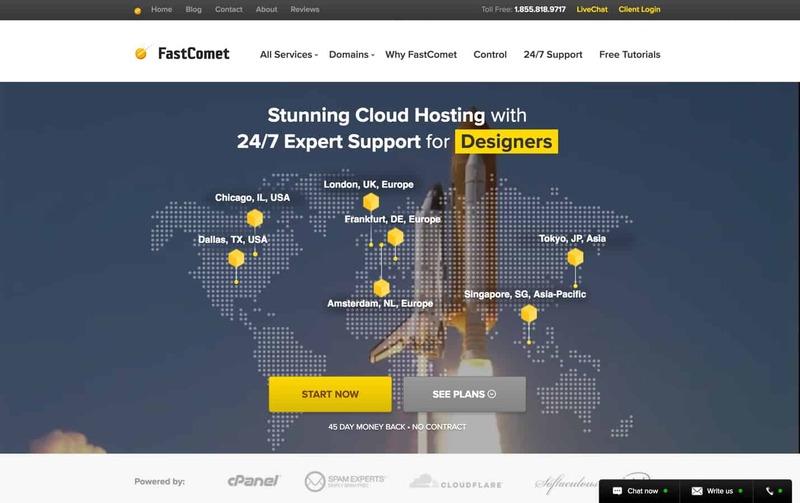 > FastComet Review: Solid Shared Hosting, But Is It Right for You? Our Verdict: Awesome hosting for all sizes. Previous: Easyspace Review: Competitive Pricing, but Is This UK Host Right for You? Next: Review of FastDomain Host: Easy on the Wallet, but Do They Offer the Features You Need?